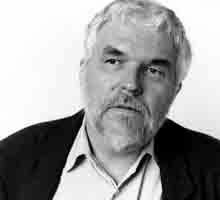 The 9th annual Brakhage Center Symposium will be taking place this weekend at the University of Colorado at Boulder, where the legendary underground filmmaker Stan Brakhage taught for so many years. The symposium brings together filmmakers, scholars, critics, and curators to discuss the state of modern experimental film — and to show many awesome examples of it. The event kicks off on Friday, March 15 at 5:00 p.m. with the debut of the video installation ANSWER NOW by Jennifer Reeder at the ATLAS Black Box theater. This will be followed by an all-day event based on “Media Arts and Cinema Poetics” on Saturday, March 16 starting at 9:45 a.m. at the Visual Arts Complex (VAC) 1B20. The programmers leading the discussions and screenings include two major figures from Los Angeles: Glenn Phillips, a curator at the Getty Research Institute, and Mark Toscano, a film preservationist at the Academy of Motion Pictures Arts and Sciences. There will also be a special presentation by guest artist Jennifer West. Then, on Sunday, March 17 starting at 10:00 a.m. also at VAC, there will be a daylong appreciation of the legacy of Stan Brakhage. Presenters include Suranjan Ganguly (University of Colorado, Boulder), Sally Dixon (former Director of the Film in the Cities program), John Powers (University of Wisconsin, Madison), and Tom Gunning (University of Chicago). The official program listing of the Symposium is below. Please visit the official Brakhage Center Symposium website for more info. An adult woman (the conductor) on the edge of failing, and a pack of teenage girls (the choir) simultaneously experience a supernatural version of coming-of-age. The transformation is equal parts tense and tender. It unravels patiently to the infectious beat of an 80s era heavy metal anthem rearranged as a lamentation. Through screenings and discussions the 9th Annual Brakhage Center Symposium explores art practices, assumptions about cinema art, the historical avant-garde and the media arts. We have seen, for many decades, the parallel development of experimental film art alongside electronic moving image making. This year’s symposium will play host to perspectives on the relation and poetics of these practices. Programmers include Glenn Phillips from the Getty Research Institute and Mark Toscano from the Academy of Motion Pictures Arts and Sciences, with a presentation by guest artist Jennifer West. A day devoted to Stan Brakhage and his legacy through screenings and discussions. Presenters include Suranjan Ganguly (University of Colorado, Boulder), Sally Dixon (former Director of the Film in the Cities program), John Powers (University of Wisconsin, Madison), and Tom Gunning (University of Chicago).